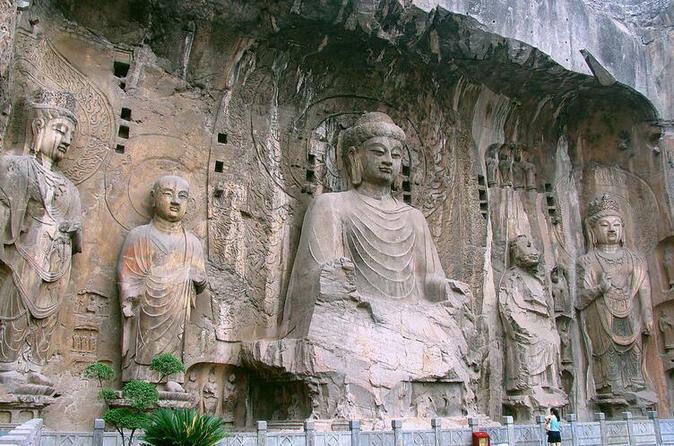 Join the private full-day tour and visit the two must-see attractions of Luoyang - Longmen Grottoes and White Horse Temple. Luoyang had served as the ancient capital of 13 dynasties over the past 5000 years. 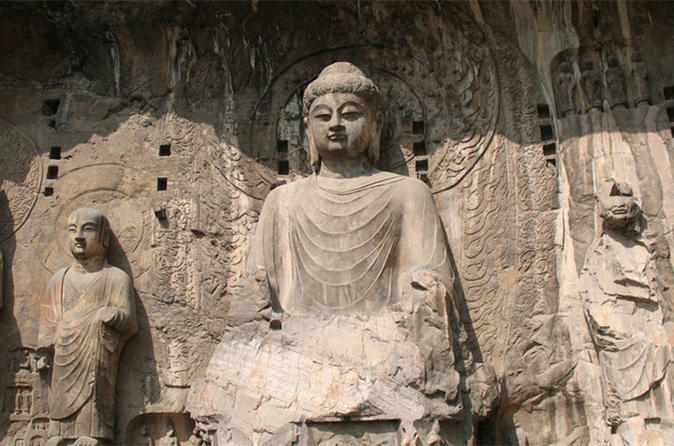 Be amazed by Longmen Grottoe, one of the most famous grottoes in China and a UNESCO World Heritage Site, and White Horse Temple as the cradle land of Buddhism in China. Learn the history and local stories from your private tour guide while enjoying the beautiful city! With high speed trains, a trip between Xian and Luoyang in one day has become easier than ever. This one day Luoyang Shaolin Martial Art tour allows you to enjoy the splendid cultural treasure in Longmen Caves and the essence Kung Fu trip to Shaolin Temple. Luoyang is located in the center of China and considered as the most important cradle of the Chinese civilization. As one of the six ancient capitals, the world famous attractions in Luoyang are the Shaolin Temple, Longmen Grottoes and White Horse Temple. 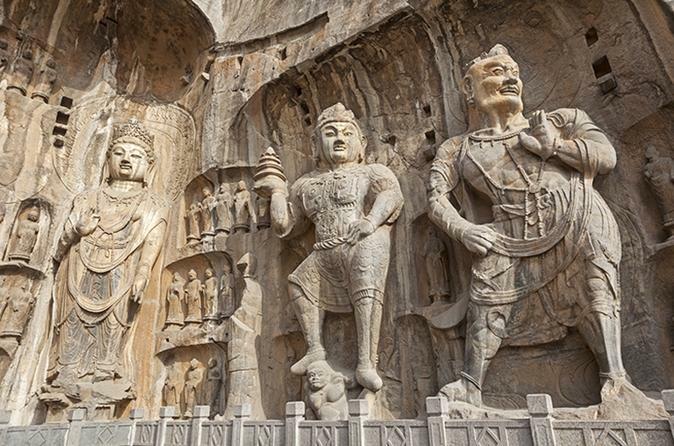 The Longmen Grottoes contains the largest and most impressive collection of Chinese art from the late Northern Wei and Tang Dynasties (316-907) entirely devoted to the Buddhist religion. The White Horse Temple was the first Buddhist temple in China built during the Eastern Han Dynasty (25-220) that is believed to be the cradle of Buddhism in China. Don't miss Shaolin Temple! 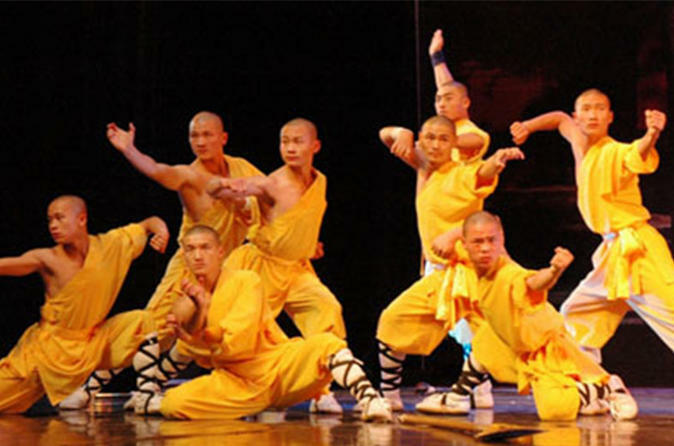 It is famous for Shaolin Kung Fu that linked martial arts to Zen Buddhism. This full-day tour will take you to visit all the amazing places in Luoyang.